Big companies put on dog-and-pony shows for government officials all the time, but this one actually means something. 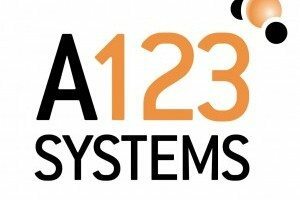 A123Systems (NASDAQ: AONE), based in the Boston area, is officially opening a 291,000-square-foot lithium ion battery manufacturing facility in Livonia, MI, today. The plant already employs more than 300 people, and is part of a Michigan expansion that the company says will create a few thousand jobs in the state over the coming years. It’s a big deal—for Michigan’s ecosystem, for U.S. competitiveness in manufacturing, and for A123’s business. The new plant in Livonia is the largest lithium ion automotive battery plant in North America, according to the company. It will produce lithium ion battery cells and packs, to be used in electric and hybrid-electric vehicles. The Watertown, MA-based company hopes to help transform Michigan into a global hub for the expanding market of batteries and electric vehicles. The Livonia plant has been in the works for years, but is now a reality thanks to a $249 million grant from the U.S. Department of Energy (DOE) last year, and $125 million in refundable tax credits from Michigan’s 21st Century Jobs Fund. A123 also has a DOE loan application pending for $233 million. I hope my eyes deceive me, because what I viewed in the back round of CNBC’s interview with Senator Levin was a battery pack assembly, one battery at a time. Where is the Automation, or is this our answer global competition? Hopefully this is a step in the right direction. The economic recovery in the US is coming to an abrupt end. Pundits keep trying to guess when consumer spending and business investment will pick up the slack, but the answer is quite easy. I charted Unemployment vs the S+P and the year to date chart shows how the market follows the jobs data up and down. If we want a real recovery, that is sustainable, it has to be backed by jobs creation. Wonderful!! Our state and environment need this technology! Thank you for being forward looking people!